The rugged but beautiful land of Wales was a refuge for the ancient Britons as waves of invaders attacked and settled other parts of Britain. The Britons endured in the mountain strongholds against these raids, eventually becoming the Welsh people, the ancestors of the Cymry of today; forming a land of small kingdoms ruled by Welsh princes. 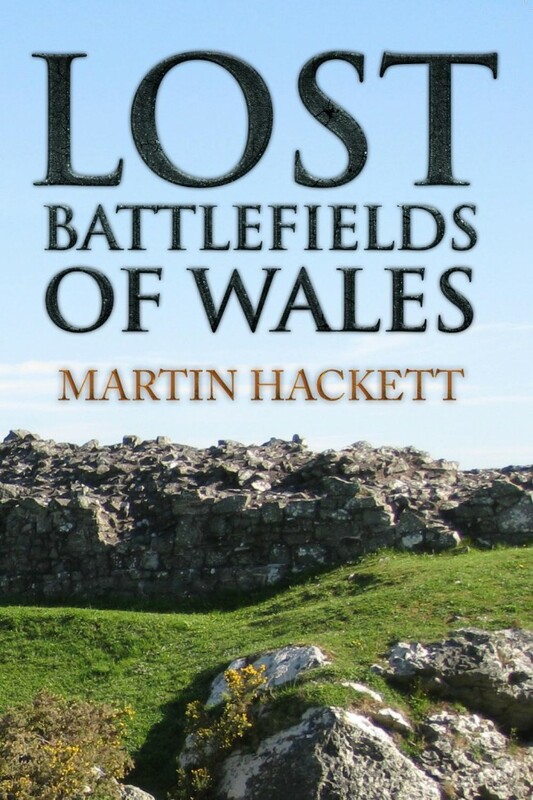 In this book, Martin Hackett takes us on a journey through the military history of Wales, looking at the armies involved and the weapons they used. He covers the length and breadth of the country, examining in detail twenty-four battles that have shaped the history of Wales, beginning with the guerrilla campaigns of the Celts against the Romans and moving through the defensive wars against the Saxons and Normans, followed by the great rebellions of the Llywelyns and Owain Glyndwr against the English invaders. The book is completed by the English Civil War and the French invasion of Fishguard during the Napoleonic Wars. Profusely illustrated throughout with maps and photographs, this book brings to life these forgotten milestones of Welsh history, many of which are truly lost battlefields without memorials to commemorate their turbulent past. When the King had turned west with the army towards Exeter, as I have said before, and the Danish army had laid siege to the borough, they went to their ships when he arrived there. When he [the king] was occupied against the army there in the west, and the [other] two Danish armies were assembled at Shoebury in Essex, and had made a fortress there, they went both together up along the Thames, and a great reinforcement came to them both from the East Angles and the Northumbrians. They then went up along the Thames until they reached the Severn, then up along the Severn. Then Ealdorman Ethelred and Ealdorman Aethelhelm and Ealdorman Aethelnoth and the King’s thegns who then were at home at the fortresses assembled from every borough east of the Parret, and both west and east of the Selwood, and also north of the Thames and west of the Severn, and also some portion of the Welsh people. When they were all assembled, they overtook the Danish army at Buttington, on the bank of the Severn, and besieged it on every side in a fortress. Then when they had encamped for many weeks on the two sides of the river, and the King was occupied in the west in Devon against the naval force, the besieged were oppressed by famine, and had eaten the greater part of their horses and the rest had died of starvation. Then they came out against the men who were encamped on the east side of the river, and fought against them, and the Christians had the victory. And the King’s thegn Ordheah and also many other King’s thegns were killed and very great slaughter of the Danes was made, and the part that escaped were saved by flight. In 893, King Alfred the Great, ruler of Wessex, was preoccupied with a Danish invasion in the south-west of England. This is supported by evidence elsewhere in the most important written source for the period, the ASC, where the entry for 893 states that two Danish fleets with a combined force of 140 ships was making for Exeter. At this time, another Danish force, apparently made up from four different armies, was making its way up the River Thames and then up the River Severn until it was overtaken by English and Welsh forces at Buttington, near Welshpool. Accordingly, King Alfred sent three ealdormen to gather what men they could to tackle this new threat, which had appeared so surprisingly far inland. An ealdorman was an appointed and sometimes hereditary title carried by a man who, in conjunction with the sheriff, was responsible for the administration of a shire. Their importance in military terms is that they were also responsible for commanding the armed force of their shire, the levy or fyrd, on behalf of the king whenever, and to wherever, the monarch so commanded. At Buttington the Danes either occupied an existing fort or earthwork or constructed a defensive position of their own. From the east came an English army and a similarly sized Welsh force appeared on the west bank opposite them; although the Saxons and the Welsh were often at war, the appearance of a Viking force meant that old differences were put aside for the moment as the Vikings were in this instance the enemies of all. This position meant that effectively the heathens were surrounded and they were then besieged in this state for some weeks. This was an impossible position for the Danes; they had no way of escape without conflict and very little chance of their supplies being replenished by any kind of relief force. Accordingly, with their food supplies gone and their numbers and fitness declining, they were left with no alternative but to try and fight their way out. To head west would be suicidal; they would have needed to cross the Severn and fight a Welsh army with the advantage of ground and with an English army at their heels. The only logical way was therefore east and back down the Severn valley, but straight into the arms of the waiting English troops. This meant that the Danes would only have been facing one enemy, as the Welsh army would probably have been forced to remain isolated on the far bank of the Severn as it seems unlikely that there was any means of crossing the Severn quickly; for the Vikings to have arrived there at all meant that the River Severn had been in a swollen state to allow the Viking ships to progress so far inland. It is the author’s belief that this Danish army made its way to Buttington by water. The Danes, in common with other Vikings, were master boat builders and built a variety of differently sized ships based on their requirements. All Danish ships were of shallow draught and capable of moving fast, even when rowed against wind and tide while carrying not only men but also horses and supplies. These ships were capable of carrying anything from a dozen to 100 men, and when on long voyages the men on the ships would work in shifts, half of the men resting while the others rowed; this meant that the ships could be kept moving at all times. When returning downriver, the river would carry them and their booty, meaning that the majority of the crew could rest before their return home, whether that was a base on the British mainland or a distant fjord in Scandinavia. The Severn is known to have been navigable as far as Poolquay, just 2 miles north-east of Welshpool, until the last century. Wroxeter, located 5 miles west of modern Shrewsbury, was the key Roman town in Shropshire; in the second century AD it was serviced by Roman craft making their way up the Severn. Indeed, the stone from which the church at Wroxeter is constructed carries marks indicating that the stones were once part of the Roman quay that served the 200-acre site of the Roman and then British city. One can imagine the scene. The Danes have rowed against the flow of the river for several days, perhaps raiding on their way and resting up at night well away from any signs of human activity. Then they come to a wide-open valley with hills far away on either side. Unknown to them, the rain on the Welsh mountains has swollen the two rivers that meet west of Shrewsbury, the Vyrnwy and the Severn, causing them to burst their banks and flood the valley. The Severn would be the weaker of the two currents at this point and also the much wider valley. Noting this fact, the Danes pushed on, unaware that the course they are now taking is simply across flooded marshes and is not a normal riverbed or inland lake. The flooding of this valley for much of the autumn and winter of 2013/14 illustrated how the valley would have looked to any Viking crew: a wide, still inland pool with a river’s course meandering through it but with much of the flow to either side sluggish or even stationery. As an evening approached, the Danes spy an old earthwork close to a great dyke that has been on their port side at times for the last few miles. They gather their boats together and use the mound as a base for the night. The Danish warriors are alerted in the night by those on watch, who have seen torches about a mile to the west on the other side of the water. Alarmingly, further torches are seen a little later on, but this time they are on the eastern side of the river, from the direction of the hills that the Danes passed earlier in the day. The Danish camp stirs into life, and as dawn begins to break, those on watch are horrified to see that the river has overnight retreated some twenty yards to the west, and it is still visibly falling. The Danish ships, which had been half in and half out of the water, are now resting in tall sodden reeds and grasses atop a field of mud.